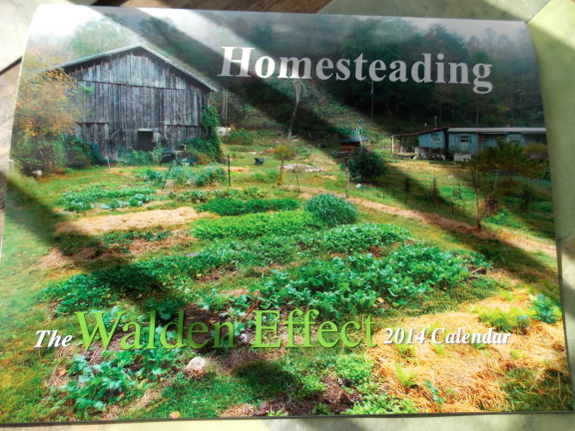 If you waited to get your homesteading calendar, you're in luck --- they're 50% off this week! Jayne called this a Cyber Monday sale, but I talked her into giving you seven days to make your decision. After all, I know that a lot of homesteaders don't hit the computer every day, and I don't want our loyal readers to miss the opportunity. But be sure to place your order by Saturday night, at which point the calendars will go back up to full price. Got IT! I'm thrilled to no end! Thank You.. I wanted to get a calendar (even though we have several) because it sounds like it has a lot of great information - and I know the pictures will be spectacular - but I didn't jump on it right away. And now I catch it on sale. Occasionally, good things come to those who wait! (The rest of the time, we miss out!) Thanks for offering the sale.